AMD’s Pump Whine issue caused a bit of a rumble in the past month, but the company has swiftly and adequately dealt with the entire affair. Quality Assurance during a product’s lifetime is always precarious for electronics and graphic cards are no exception. So the fact that AMD in collaboration with Cooler Master USA have fixed an arguably insignificant problem is applaudable. Ofcourse how would a prospective AMD Radeon R9 Fury X buyer actually figure out which version he or she owns? Unfortunately, the only authentic indicator is inside the hood. Although you would be able to tell (by listening to the sound) when you take your card for a test driver whether it is a problematic unit or not – if you still want to be sure, remove the face plate. 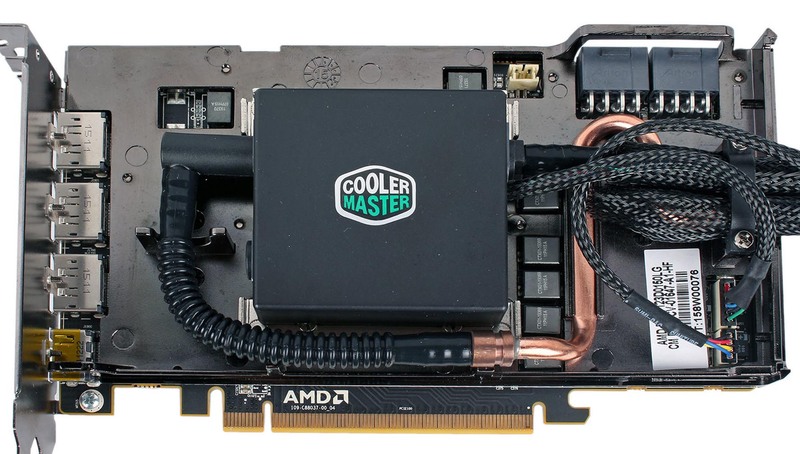 Cooler Master has thankfully updated the logo from the old white and blue schematic and will serve as a sure-fire method to guarantee you have the updated pump. I have taken the liberty of making a comparison image below, if you the one on the right, feel free to RMA.